Thanks to the mobile locksmith solutions we provide at Pros On Call, you can enjoy fast and reliable car key duplication services 24/7. And our experts come to you! And, all of our automotive locksmith services are backed by our licensed, insured, and bonded technicians. 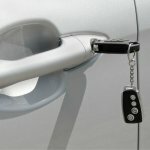 When it comes to car key duplication, we provide a faster and more affordable option than going to the car dealership! Our mobile units have all the high-tech tools and key cutting equipment on hand to duplicate any type of car key that you need quickly. And if that wasn’t enough, we also provide car key replacements with the same great service. No matter what your reason is, we are here for all of you car key duplication needs (as long as it is legal and you have the authority to have duplicate keys made). We’ve got years of experience! All of our technicians have at least 5 years of experience providing mobile car key services. And, we are a fully licensed, bonded, and insured company so you can trust us to keep you secure. If you have ever gone to your car dealer to get an extra set of keys made, then you know how time-consuming it can be. Not to mention the fact that they often charge a ridiculous amount of money. Instead, just call us and we will come to you. And we guarantee fair and upfront prices for all of our locksmith services. And since we don’t need to go through a third party to duplicate your keys, we pass those savings onto you. Since our emergency locksmith services are available 24-hours a day, you never have to worry about not being able to reach us. And with our 30 minutes or less response times, you won’t have to waste a whole day just to get a new set of car keys. In the end, the choice is clear. Contact Pros On Call for all of your car key duplication needs and get on with your day. 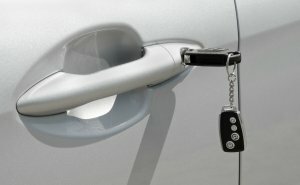 Car Key Duplication https://prosoncall.com/locksmith/automotive/car-key-duplication/ 3.9/5 based upon 7 reviews.